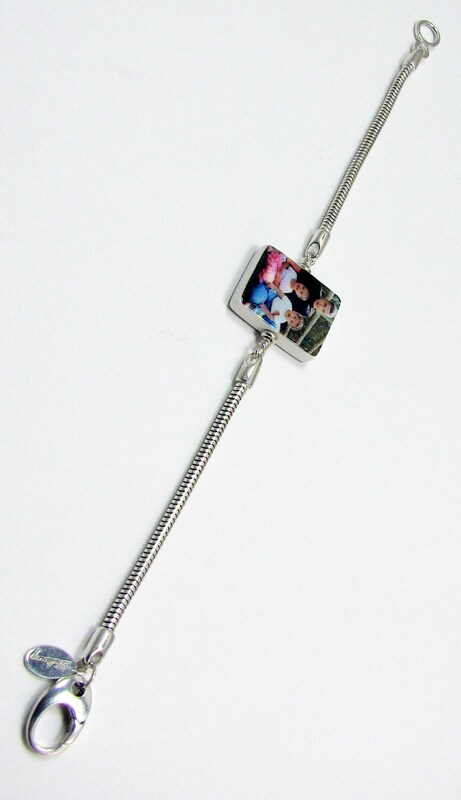 What a statement piece! 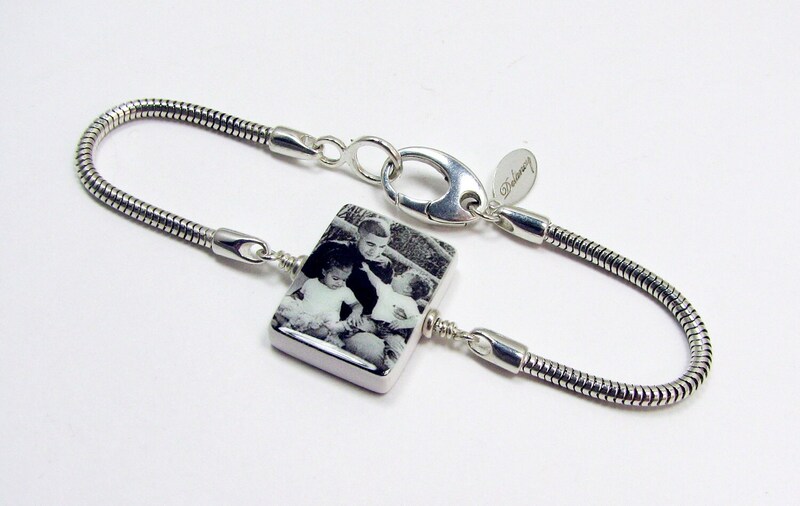 This large 2mm Snake chain bracelet can be custom ordered between 6" - 8.5". 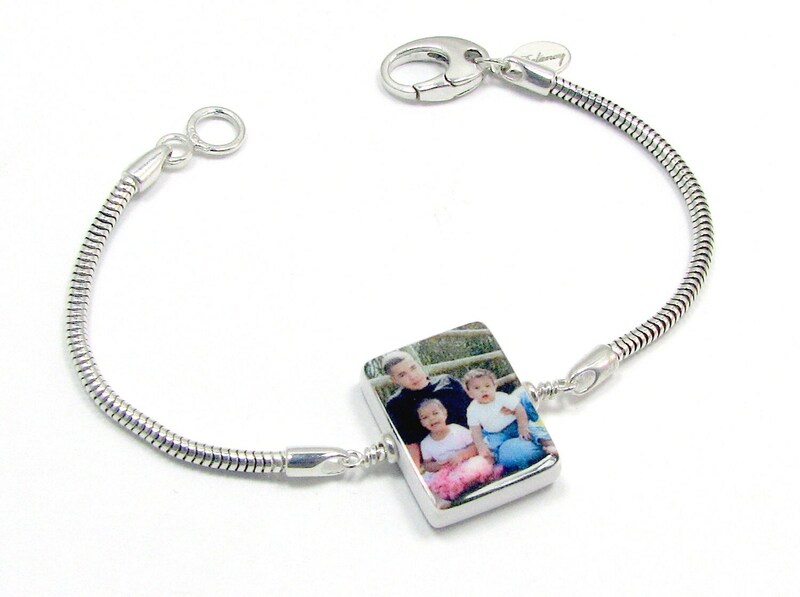 This bracelet includes 1 Small, two-sided Photo Charm that is up to .75" X .75", and a sterling trigger-less clasp. 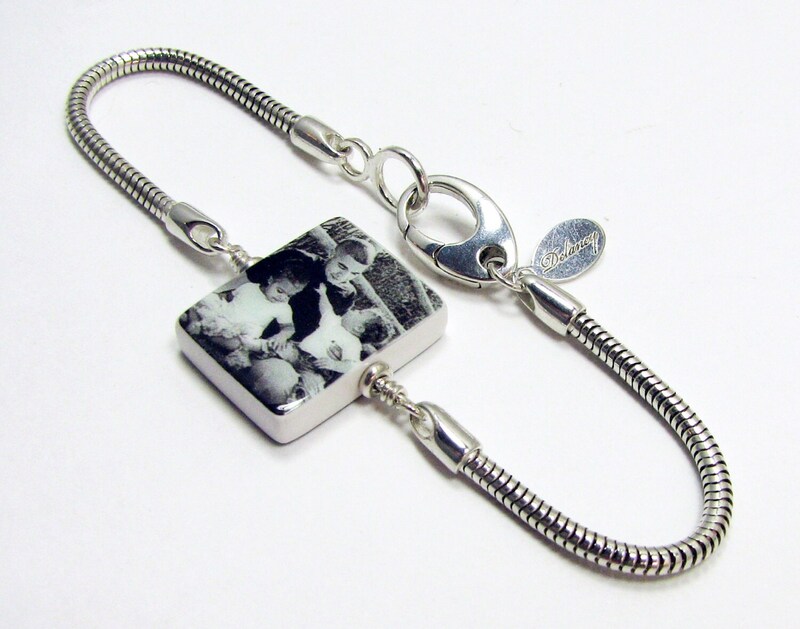 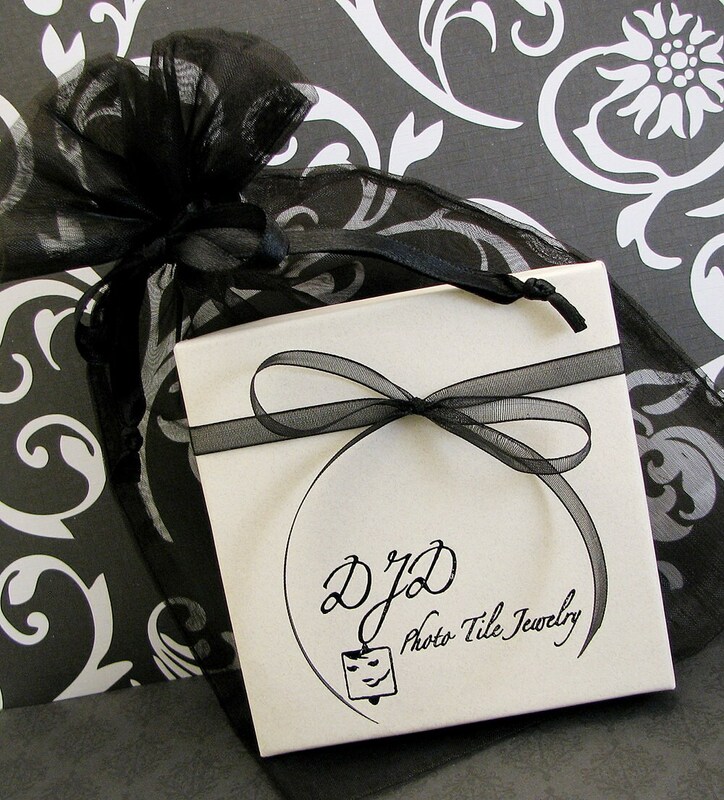 The charm can hold two images, or request a custom text image for the back.